I know there’s a few who will be interested in this machine. 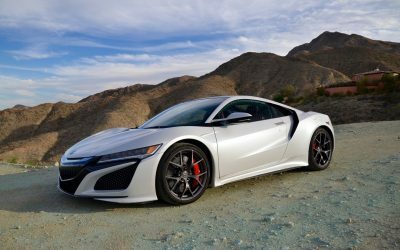 Specifically designed for speed and excitement, the brand new Honda NSX has been loaded with technology to make it a very well-mannered supercar. Not just a flashy make-over, the Honda NSX has undergone a total reformation since its absence from the road scene for over a decade. During this time, Honda engineers have spent time designing and perfecting the latest NSX which is on sale in Australia. There are a few surprises in the NSX supercar, making it a defined supercar. Totally new in its styling, the car is edgy, aerodynamic and built for speed. Honda have opted to go for AWD and the NSX handles like it’s on rails. Sitting low and wide on the road, the new Honda NSX has an overall width of 2217 mm. Not many vehicles come wider than this, and the squat road holding shines through as being really controlled and quick. You can throw anything at the NSX and the car holds its line beautifully. Heavier on the scales than most competitors, this weight brings a ride quality that is generally smooth, very taut and confidence-enhancing – particularly as the speeds climb – very quickly. You may already be in the know, but the Honda NSX is a hybrid supercar – much in the same vein as Porsche’s hybrid quickie. Three electric motors are used to enhance the power delivered from the newly developed twin-turbo 3.5-litre V6 engine which is located at the rear of the car. Kept low to the ground, the V6 engine has the turbo chargers placed either side of the Vee. The part aluminium and part plastic body work is attached to a state-of-the-art mixed-material spaceframe to keep things strong and light. When it comes to power delivery, the new NSX is highly responsive. One spec that I was interested to note was that the engine revs nice and cleanly through to a 7500 rpm cut off point– lower than I expected. Producing a combined power output around 430 kW suggests that this can fly, and it duly does. A 0-100 km/h sprint time of 3.3 seconds is very fast, but a hidden treat is in the NSX’s ability to provide big torque as soon as you plant your right foot at any speed. This punch feels loads of fun and the thrust is addictive. At the front of the car, two 27 kW electric motors are in place for driving each front wheel respectively – giving the NSX a vast array of torque-vectoring properties. Acceleration in the wet is as good as it gets. The nine-speed semi-automatic transmission is as slick and swift as they come, while the launch control is excellent. Honda’s NSX brings up 300 km/h with ease, and, being a Honda, the engine should be very durable and reliable. The nine-speed dual-clutch transmission is really a close ratio seven-speed gearbox with the first gear used just for take-off and the ninth gear for highway cruising. Honda used the Porsche 911 Turbo’s PDK transmission as a benchmark and has come up trumps with powerdelivery. Drivers of the new NSX get to enjoy various Drive Modes to suit driver moods. Four driving modes – Quiet, Sport, Sport Plus and Track – has the NSX covered for just about any situation and driver preference. These modes alter 11 facets of the car which include: power steering, yaw control, the drive-by-wire system, braking force, DCT, electric system output, suspension, vehicle stability, engine response and more. Drive a new NSX and you’ll be in the exotic league. The car has some really nice looks, and where it really sets itself apart from other supercar designs is in its own unique rear light and air duct design. Many other cars on the road will spend more time viewing the rear-end of the car than the dramatic arrow-like front-end of the NSX. Head inside the cockpit of the NSX, and the new technology and features set this supercar apart as being truly modern and sophisticated. Comfortable leather sports seats are standard. There are heaps of driver aids and systems available for keeping you tracking sweetly around corners at high speed. Turn all of these off – which you can do – and the car is still very sorted and capable. You can do some serious lap times and drift if you want without all the electric gizmos helping you. The car is fun to drive – just as it should be. Pitched against the Audi R8, or Porsche 911 the Honda NSX is every bit as good. Easy to drive as a daily driver, wickedly quick and awesome round corners, the new NSX might be pricey but it is very good! Long may the NSX be enjoyed. The 2017 Honda NSX is available in Australia. For any more information on the Honda NSX models or, for that matter, any other new car, contact one of our friendly consultants on 1300 303 181. If you’d like some fleet discount pricing (yes even for private buyers! ), we can submit vehicle quote requests out to our national network of Honda dealers and come back with pricing within 24 hours. Private Fleet – car buying made easy!